Forty years ago, LSP Products was founded by plumbers to deliver unparalleled innovation, superior product quality and best-in-class service to the plumbing industry. As a Specialty Products company, LSP has focused on bringing to the market innovative products that will transform the industry. The stainless steel braided flex connector, the Kahuna™ outlet box, the Revolver waste & overflow and, more recently, the Pull Stop Box™ are examples of the company’s commitment to origination. The new construction market is the primary focus of LSP. 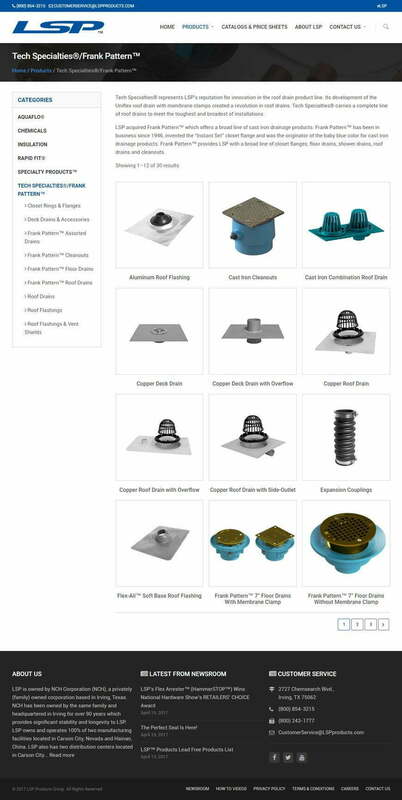 To develop products that simplify installations while providing cost savings to the plumbing or mechanical contractor. The client needed their website redesigned for mobile compatibility in keeping with the increased usage of mobile devices to access the web, as smartphones gain popularity and prices of data packages drop. It should enable easy user requests for customer service and for users to submit field reports. The mobile compatible website offered users faster speed. While the old home page was around 9MB data-wise, the new site is 1.56 MB – 6 times quicker and lighter than the old website. The Website was viewable on a Smartphone as well as Tablet. 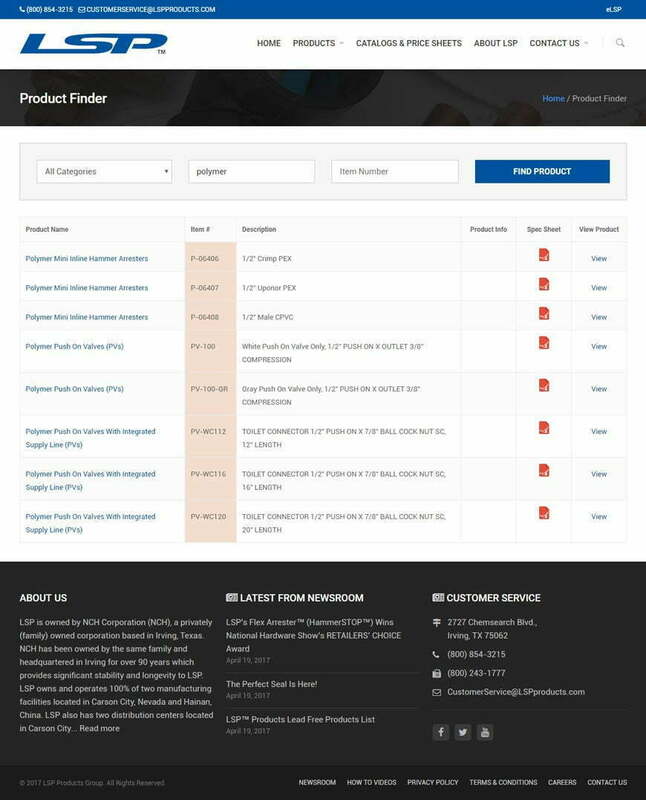 The mobile compatible site had a new catalog featuring new product categories. On the new site, products were grouped in keeping with the six main categories you saw on the products menu on the site. The new site was built using WordPress. All pages and products can now be added/updated easily using the backend content management system. 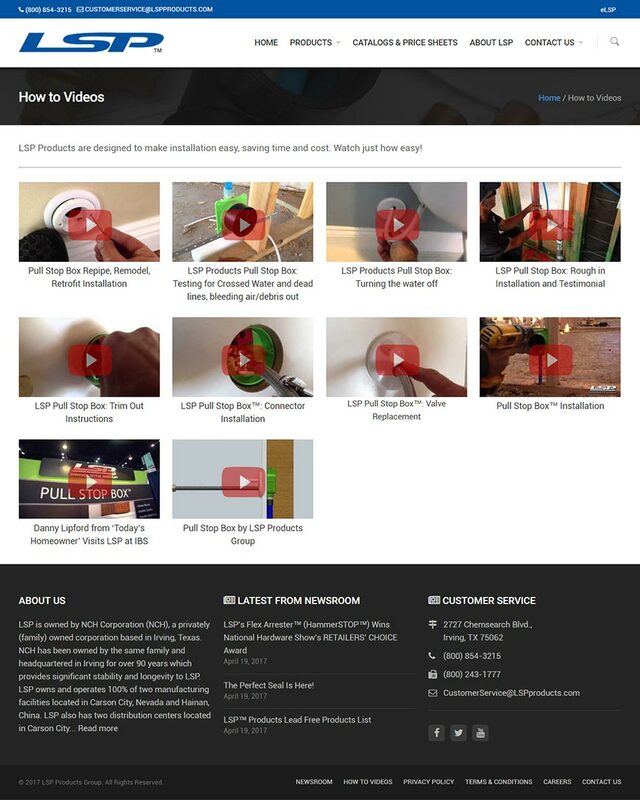 Better User Experience: LSP’s mobile site looked and performed better on mobile devices than on traditional desktops or laptops, which made for an improved user experience. Longer Visits: By designing LSP’s site to be mobile-friendly, we encouraged visitors to stick around, clicking through more pages of content. Users spend 30% more time on the site than they did previously. Improved SEO – The mobile website performed better on mobile-friendly search engines, bringing in new traffic and visitors who were searching on their phones. LSP saw a 25% increase in organic traffic.